1. YouVersion: Well-known for its many languages, the YouVersion Bible app is a fantastic Bible app. But did you know that in the reading plan section there are loads of devotional reading plans? Pretty awesome, huh? 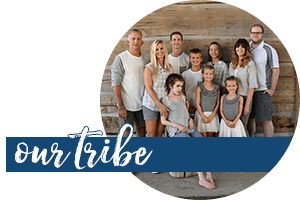 To name a few of the devotionals contained in this app, we have John Piper, Joyce Meyer Ministries, and Focus on the Family. Most of the devotionals in this app are between 4 days and 6 weeks, with a few full 365 day devotionals. All free! 2. The Lucado Life Lessons App: This app is very basic and only has a 3 star rating. However, I found that for those of us doing the Bible Reading Challenge, a neat experience is reading this app along with the chapters of the Bible designated in our daily reading plan. This app would be substantially better if you could touch the Scripture references to open the Bible verses associated with the exploration section. But it is FREE. :)Available for Android and on Itunes. 3. Jesus Calling: I love this devotional. Love it so much that I am on the fourth year of reading it. Our family also owns the Jesus Calling for Kids and we love it as well. This lite version of the devotional app is free with 8 days of devotional reading. The full version of the app is $9.99 and is available on Android and Itunes. AND the Jesus Calling for Kids app is $9.99, also available on Itunes. I couldn’t find the children’s app for Android and this disappointed me because two of my kiddos have the Nabi (children’s tablet) which runs Android apps. The new Jesus Today devotional, which I haven’t read yet, also has an app available, but the reviews weren’t strong. I’d give it a version or two for the bugs to be worked out before downloading. 4. Streams in the Desert is the first devotional I ever owned when I was a senior in high school. (We won’t say how long it has been.) So I’m a bit nostalgic over this FREE app. Available on Android and on Itunes. 5. 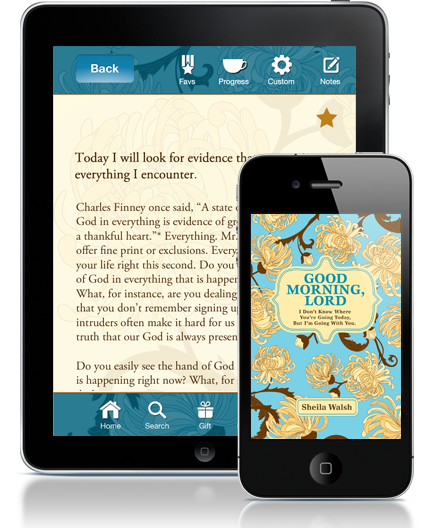 Good Morning Lord, a devotional app based on Sheila Walsh’s book, is simply gorgeous! I downloaded the lite version today and now I really, really want the full version. I know many people want to know why apps of this nature cost on average $7.99 to $9.99 because they feel that is expensive. Creating engaging apps is not cheap, contrary to popular opinion. This app is well worth the price and I’m going to talk my hubby into downloading the full version to his ipad; the itouch won’t do this one justice. My personal advice is to skip two lattes and buy the app. 🙂 Unavailable for Android. 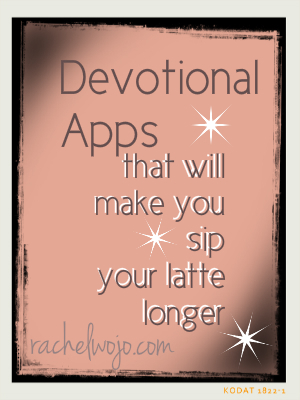 I’d love to hear what devotional apps you use! Could you leave them in the comments? Happy Friday! I also use you version. I have done several of thier reading plans. I’m catching up, but still a little behind. My goal is to continue reading and catch up more when I can. I may not be up-to-date on the Bible reading, but I am spending time in the Word with other Bible studies I participate in! And that’s the point- staying in God’s Word. When it saturates our thoughts, we change and become more like Jesus. 🙂 Thanks for checking in Megan! Still going strong. I was looking at the year’s schedule and noticed that we are reading the book of Acts twice. Any special reason for that? 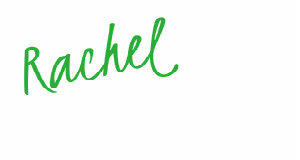 I am still with you Rachel, even though I missed commenting a couple of weeks. I use YouVersion. I will have to check out the other apps you suggested. Thanks for sharing these with me. Love Jesus Calling and Good Morning Lord as well. 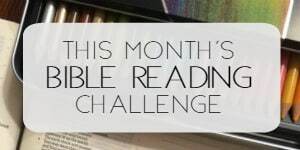 I am so thankful for this Bible reading challenge and you Rachel. Your encouragement and the blog. Sharing together in the reading. I am truly excited about reading God’s word each day like I haven’t been in awhile. God is blessing me with seeing new things. I started writing them down this week. Today, when my husband called to say hi and how’s the day going, we chatted the whole time about today’s reading. We were engaged in 15+ minutes of really meaningful conversation. I am so very blessed! And you, my friend Rachel, share in the reward. Have an AWESOME weekend! What a sweet thing! I love contagious Bible conversation. 🙂 Blessings to you, Friend!!! I love youversion as well as the glo bible app. Glo bible links with youversion so you can share bookmarks & notes which is nice and has a large selection of photos, videos, maps, commentary, etc. I tried the free version out first and really liked it and so I bit the bullet and bought the full version (when it was on sale of course!). I almost forgot today was Friday! I have not got behind all week! As a matter of fact I have to stop myself from getting ahead! Jesus calling for Kids is available on Amazon for android. I have it on my Kindle Fire. Still going strong! Have also inspired my husband to do his daily reading, too! We both have gotten so engrossed in the stories that we read ahead! I love ow we are in four different books each day. As a Bible teacher it is refreshing to have a new plan. I love YouVersion but am going to look at the other apps you suggested. I also love GloBible app! I’m a little behind with the overnight at the hospital for my little girl. (You know, because you leave there so rested and all too). I’m planning on catching up tonight and tomorrow. I read one chapter in the hospital and one chapter per night the rest of the week. I’m excited though because this little “bump” in the plan would have totally discouraged me. But with this group going, I feel nothing but encouragement and enthusiasm! Go Jennie! Praying for your sweet girl and love that you keep going! Well, I am still a technological dinosaur with a “dumb phone”, so these apps unfortunately won’t help my daily reading at the moment. Hubby is Mr. Technology with apps galore though, so I’m excited to show him these. We often struggle to be consistent in doing devotions together. Perfect reason to enlist him! Wish I liked lattes. Just not a coffee girl, so guess I’ll grab my green tea and snuggle up with him. I am finding that I often have catch up to do by the end of the week. For me, setting aside some extra God’s Word time on the Sunday (or Sat) helps me start the week off right, in a great frame of mind, meditating on His Truths. A friend reminded me not to allow myself to become legalistic about this “assignment”. The goal here she said is just to spend time with God each day, and read through all the OT and NT by years end. No beating myself up because “I failed”. So, if that means doing an entire week’s worth of readings in one book on one day, so be it. On some busy days, it means I only get OT reading done, or NT, or one of each in the morning, then have to catch up in the evening, or the next day, or on the weekend. I am just trying to be in the ball park at the end of each week, and month, so I don’t become overwhelmed or discouraged and give up. (I work in a fitness environment and see this happen every year at this time. People start out all pumped, resolutions intact, eager to reach their goals. A month or two later, and the gym has emptied out. People get behind, lose their motivation, go back to their old habits and cancel their memberships!) It’s working and I am learning so much, He’s showing me new things I have never noticed before with each read, each time I linger for further study, and that’s pretty cool. I had to chuckle Rachel that your Monday posts addressed how distracted we can get with all of our modern communication, even to the unhealthy level of “idolotry” that can threaten the otherwise healthy relationships we have with the Lord and our loved ones. Partly for that reason I have chosen, for now, not to join Facebook, or do Pinterest. I just know myself too well! Too weak for such temptations. I have decided to be content peeking over my husbands’ shoulder once or twice a week, getting caught up with our friend’s life happenings and celebrations. In and out, and no possibility of multiple postings and hours online! I admire the homeschooling Moms and bloggers who can keep their priorities and balance. I’m sure it isn’t easy. God has graciously equipped you well for this ministry Rachel! What a blessing to so many this is. Have a Jesus filled week all. YES- no legalism on the challenge- ALL LOVE! Thank you for your wonderful update!! Well, January is done and I’m still going. Thank you Rachel for this reading plan!! I will admit that I had let my Bible reading slip prior to this, but having this plan has helped me get back on track and I am managing to stick to it and am really enjoying it. Did anyone else notice that in all of Esther there was not one mention of God?? Our Daily Bread also has an app for free with plenty of links and resources. 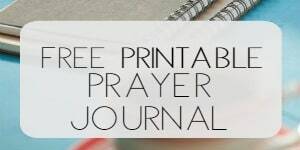 Their website has the daily devotional as well and I often print off a week’s worth at one time for my patients who may be as,Inge for devotional materials. Thanks for sharing these – I can’t wait to explore them. Thank you! Love Our Daily Bread and never thought to look them up. That is cool!! I had a great week in the Word! Due to family in town for almost a week, I had gotten VERY behind – almost a full week’s worth. But I had extra time in the carpool line this week and am almost completely caught up! It was actually really fun to read almost the entire book of Acts in one sitting. Have a great weekend! I love Youversion for reading devotionals, and I have recently begun enjoying “3 Minute Retreat” and “Encounter” for guided meditations based in scripture.